Disaster response and other tasks in dangerous and dirty environments can put human operators at risk. Today’s remote-controlled vehicles with wheels and tracks have limited use in such missions due to their reduced mobility on rough terrain. In the wake of recent disasters (e.g. Fukushima power plants) we have witnessed how tracked robots can struggle and eventually get stuck in unstructured environments, such as stairs with rubble. A new generation of all-terrain vehicles, with legs instead of wheels and tracks, is finally reaching performance levels that show superior mobility on rough terrain. 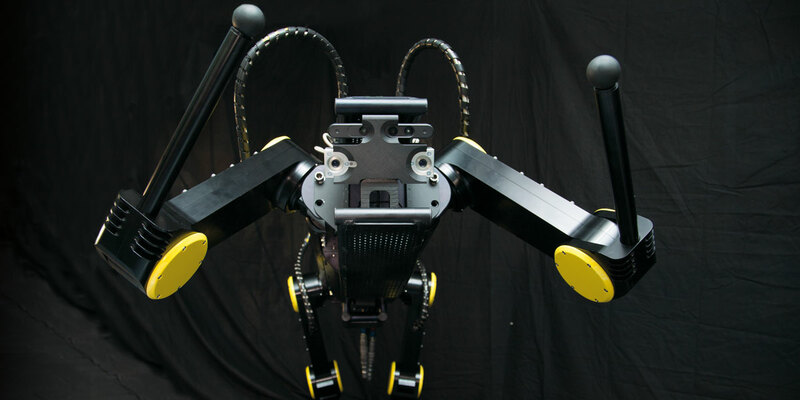 The HyQ-REAL experiment will bring IIT’s new quadruped robot HyQ2Max from the laboratory to the real world applications. 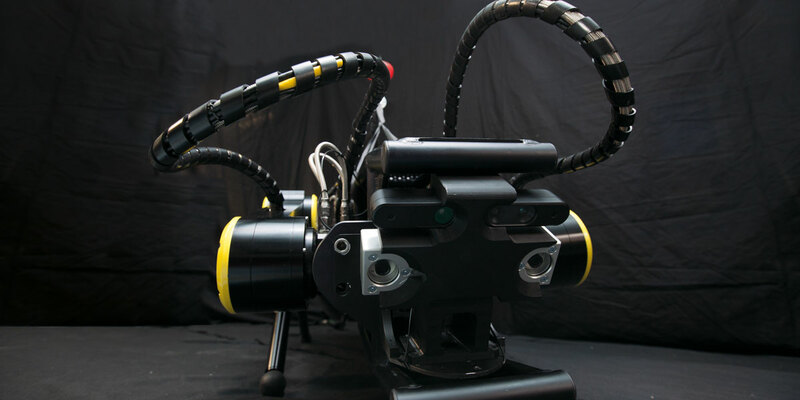 HyQ2Max is an improved version of HyQ, a robot that has demonstrated a wide repertoire of indoor/outdoor motions ranging from running and jumping to careful walking over rough terrain. In this experiment IIT will team up with MOOG, the world-leader in reliable, high-performance actuation systems for aerospace and motorsport. Besides ruggedizing the robot against impacts, dust and rainwater, IIT will develop control algorithms for self-righting and intelligent teleoperation. MOOG will develop a compact battery-powered hydraulic system to provide HyQ2Max with power-autonomy. 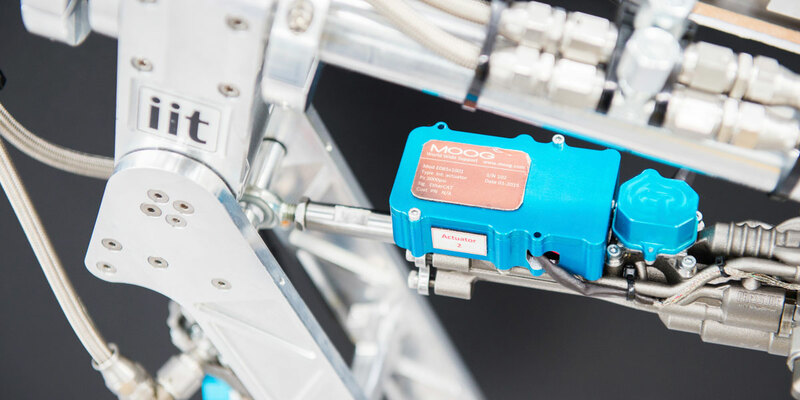 MOOG will also further develop their TRL-4 Integrated Servo Actuators (ISA) and bring them onto the market. 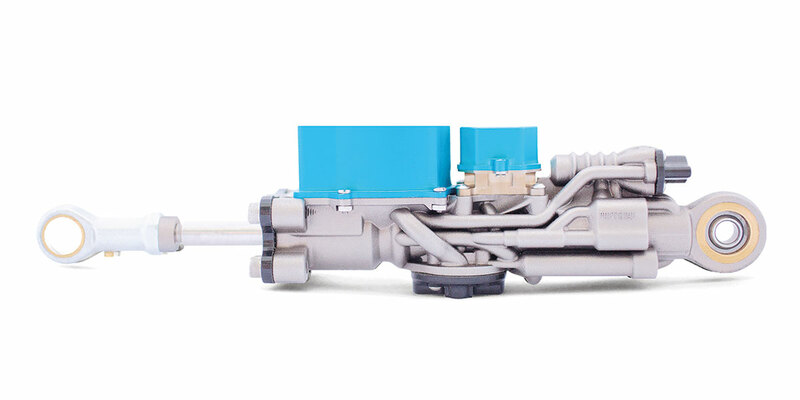 ISAs will be used to upgrade HyQ2Max with highly reliable and efficient hydraulic actuators. Field testing the new vehicle will be the main focus towards the end of the experiment. This project has received funding from the European Union’s Seventh Framework Programme for research, technological development and demonstration under grant agreement no 601116 as part of the ECHORD++ (The European Coordination Hub for Open Robotics Development) project.